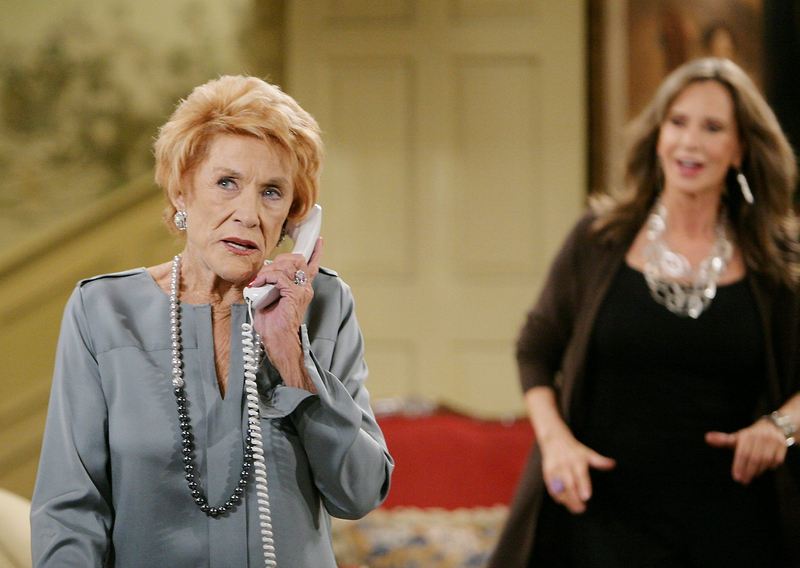 Jess Walton (Jill) released this statement about the passing of a legend, "Jeanne Cooper was one of a kind. No one who has ever known her would disagree with that statement. Her life force and energy were legendary. Many a time I marveled as she outlasted the rest of us on late night shoots. She was a moving, inventive, and powerful actress. She was a loving mother and grandmother. She was part warrior, part rabble rouser, part truck driver and part Diva, all wrapped up in one Great Lady. Most of all, to me, she was my friend and I loved her. For the last 26 years, hers was the face I most wanted to see when I came to work. Hers was the energy I most wanted to bounce off of on stage. Hers was the voice that kept me in stitches . And because of all that, hers is the presence I will never in my life forget." Photo Courtesy of JPI Studios.